In becoming President of the United States, Donald J. Trump is joining some illustrious company: Lincoln, Eisenhower, JFK. However, based on what we know about his personality and management style, three other names seem more likely to be closely associated with him. And those three names are not ones mentioned in the same breath as freedom and tolerance. “Those who fail to learn from history are doomed to repeat it” is a quote often thrown around, but at no time in our lives has it been more important to heed the message contained within it. 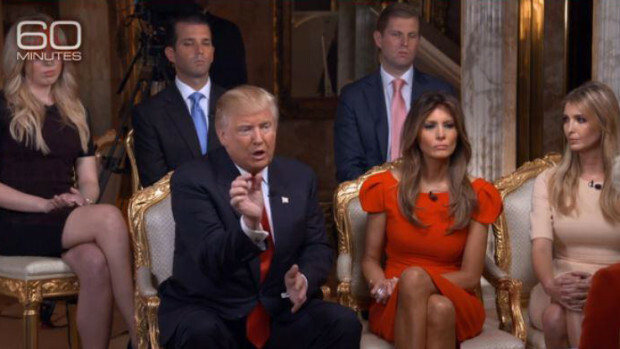 Early signs such as Mr. Trump’s transition team and cabinet picks give us a window into his first term, and the view is disconcerting to say the least; CEOs, Wall Street banksters, Russian apologists, white nationalists, pay-to-play billionaires, etc. Another quote from one of our featured dictators seems incredibly apt here as well. 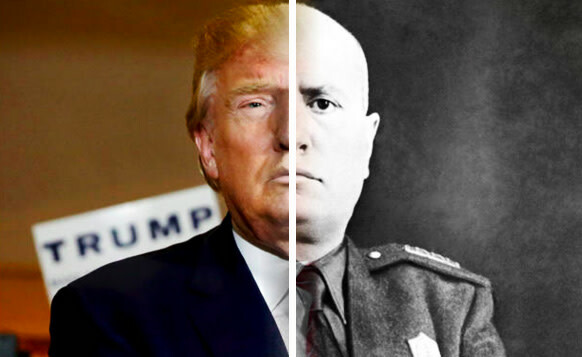 Mr. Mussolini is rumored to have said “Fascism should more properly be called corporatism, since it is the merger of state and corporate power.” Well, he was right about one thing. 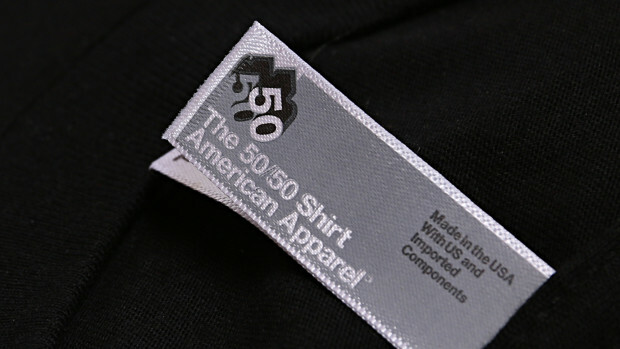 You get a quality, poly-cotton (50% Polyester / 50% Cotton) t-shirt from American Apparel. They’re hand screen-printed in a shop in San Francisco, California, just off Haight and Ashbury, and made in America. That’s more than we can say for Donald’s ties. To get these printed, we need orders for at least 100 shirts at $30 each. With $3000 raised we can cover shirts and printing, as well as time and materials for design, copy, shipping and handling. Any additional funds (minus time and materials) will be donated to the ACLU to help fight to keep our liberties intact. Without a doubt, this message is polarizing. After all, there are not that many other Adolf’s we could be referring to. As a result, people may be reluctant to buy and wear these shirts. If so, the project may die. If we don’t sell enough shirts your money will be refunded, it won’t cost you a dime, and we’ll be bummed. But, whatever happens, the biggest risk is doing nothing. QUIZ: WHo said it? Trump, Hitler, Moussolini, or Stalin? * Martin Niemoller (1892–1984) was a prominent Protestant pastor who emerged as an outspoken public foe of Adolf Hitler and spent the last seven years of Nazi rule in concentration camps.